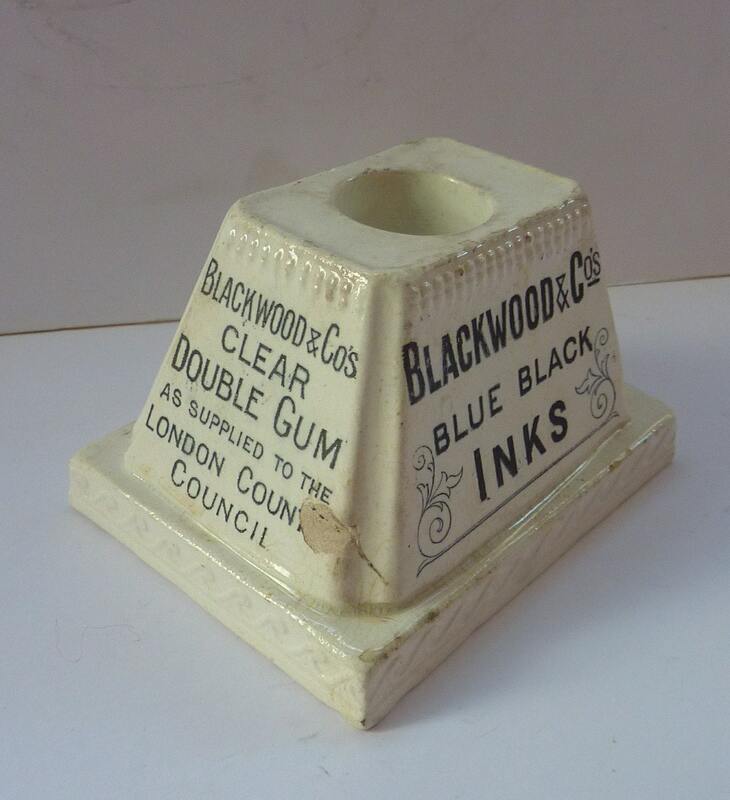 This is a highly collectable old pyramid shaped inkwell made to advertise Blackwood & Company, 18 Bread Hill Street, London. 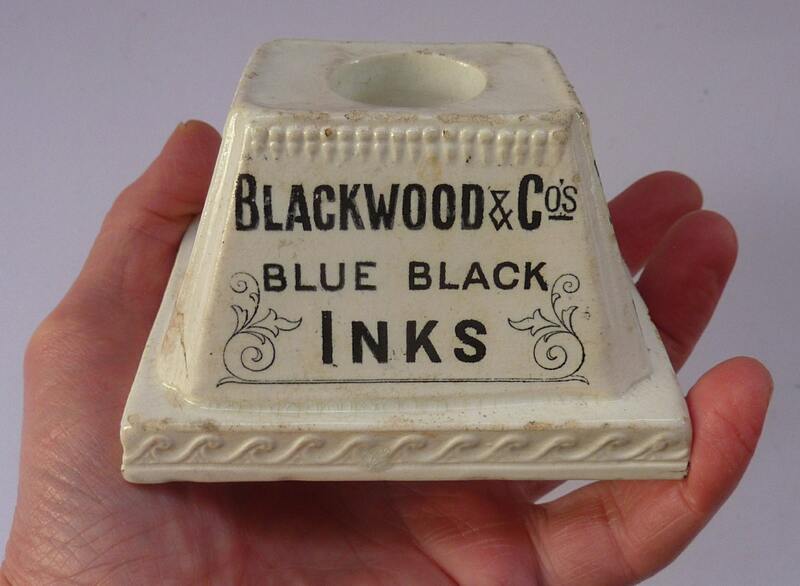 They produced a number of different ink bottles and inkwells, in ceramic and glass, now keenly sought by collectors. The company, founded in 1843, and as early as the 1850s their world famous inks were being imported into the United States. An advertisement in The Times attests Blackwood's existence in 1851. Their "steel pen, copying, writing and other inks" are "contained in the clean registered stone and glass bottles with durable cork" and are "superior to all others in use." At that date Blackwood was based at 26 Long Acre (Covent Garden) and continued to do so three years later in 1854. 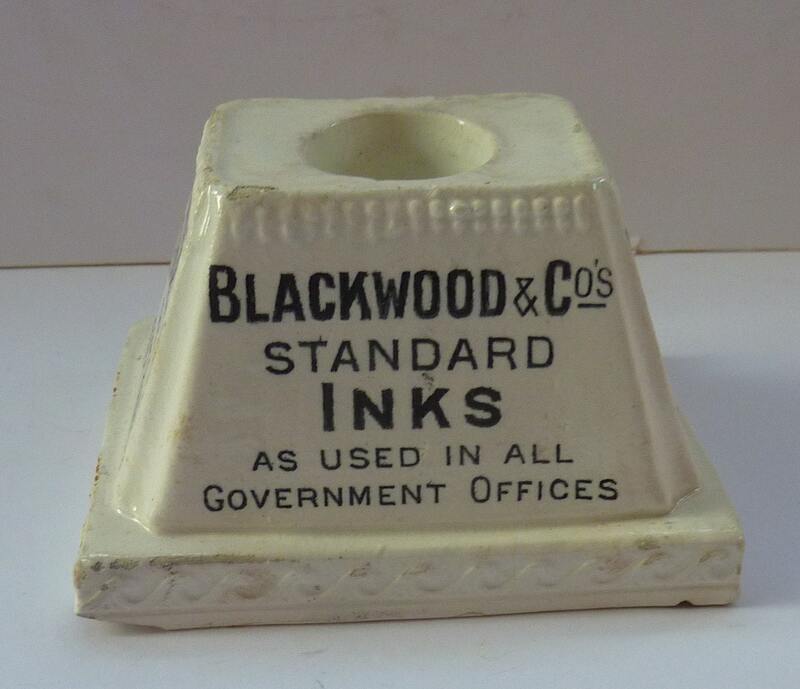 Blackwood & Co are also in the 1922 List of Exhibitors at the British Industries Fair - as "Manufacturers of Ink (Writing, etc. ), Adhesives, (Gums and Pastes), Sealing Wax, Self-inking Stamp Pads, Marking Ink for Linen, etc. (Stand No. D.64)". Further details on this company are rather scant. 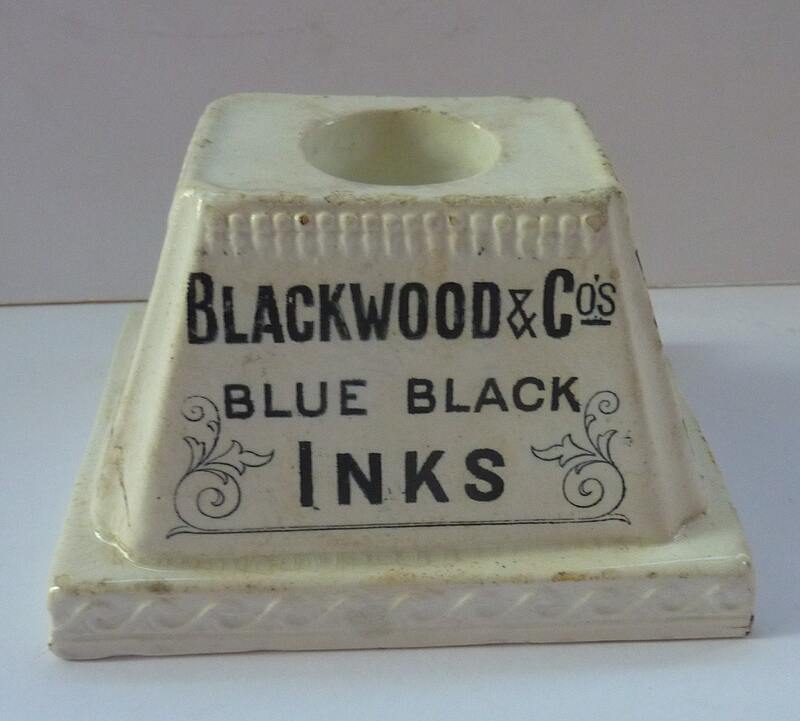 My inkwell is a rare one - as reflected in my asking price. 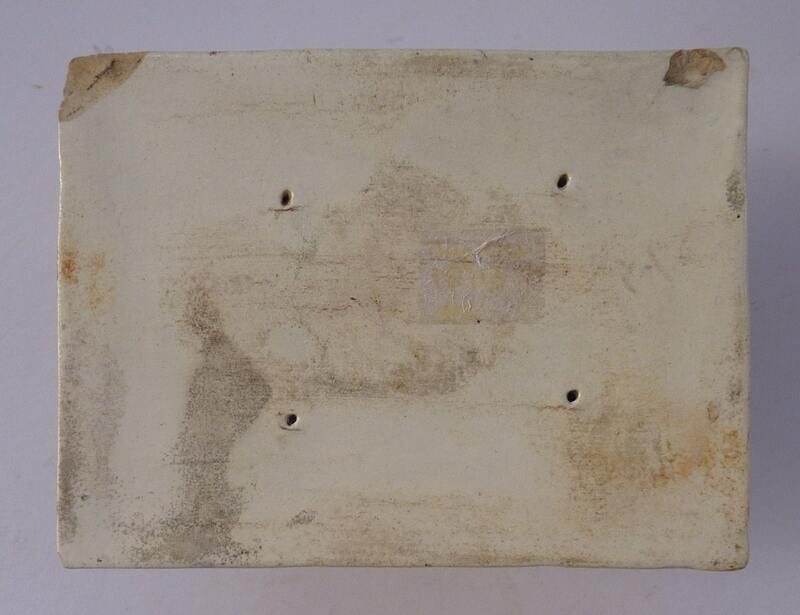 It dates to the 1850s or 1860s - and is in good condition commensurate with age. There is a chip to one corner on the base - and a little nibble to the other corner - these are not noticeable on display. Cute little raised Neo-classical wave decoration running around the base section. Dimensions: Measures: 4 x 3 inches. Ht: just under 2 ¾ inches.